Researchers at the Fraunhofer Research Institute, Germany, to make bandages that can change color to indicate the condition of the wound dibalutnya. 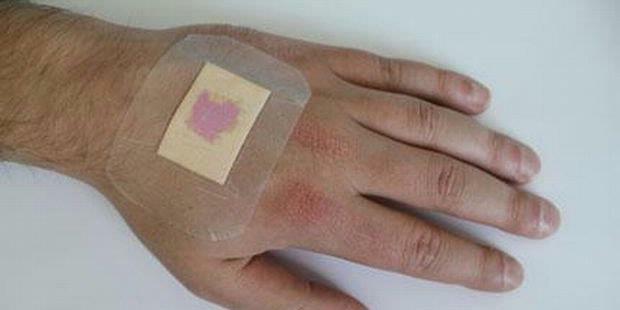 If the bandage changed to the color purple, wound infection underneath. The bandage was physically no different from ordinary bandages, only containing a special fluid that reacts to the level of acidity. Healthy skin or skin that is formed after injury has healed acidity (pH) 5 to 6. According to Gizmag web site, the level of acidity is more than that indicates an infection. "When the pH level of 6.5 to 8.5, dressings changed color was purple," said Dr. Sabine Trupp, who led the study.